The Martyrs of Cordoba were forty-eight Christian martyrs who were executed under the rule of Muslim conquerors in what is now southern Spain. At the time the area was known as Al-Andalus. The hagiography describes in detail the executions of the martyrs for capital violations of Muslim law, including apostasy and blasphemy. The martyrdoms related by Saint Eulogius of Cordoba (the only contemporary source) took place between 851 and 859. 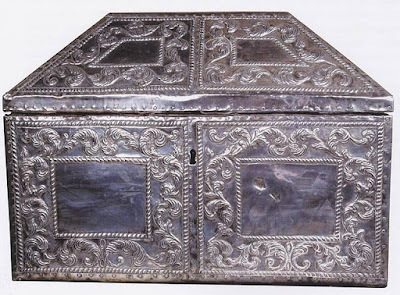 In 859, a young maiden named Leocritia of a noble Muslim family was converted to Christianity by a relative and sought protection against her irate parents. Leocritia now waited for a chance to escape, on Eulogius's advice and with his aid. In order to gain her parents’ confidence, she became more submissive – so much so that her parents thought she was beginning to reconsider and might change her mind. The wedding of a friend became Leocritia’s escape route. Due to her change in demeanor, her parents decided to allow her to attend the wedding with them. Once she was out of sight of her parents, she fled to meet Father Eulogius. Eulogius hid her among Christian friends for a time. 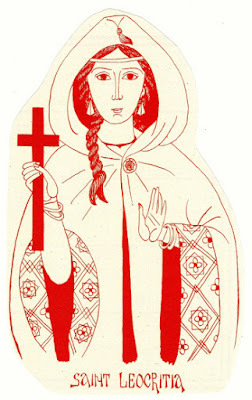 When Leocritia’s parents discovered that she had run away, they applied great pressure upon the Christian community in order to ascertain her whereabouts. They made certain that any Christian suspected of having aided Leocritia in her escape or having any communication with her whatsoever was to be arrested and interrogated. Their actions were not unusual and were according to the law. It was well known that Christians were forbidden, on pain of death, to make converts from among the Muslims. In spite of her parents’ actions, the Muslims’ search efforts were made more difficult because Father Eulogius had arranged for Leocritia to keep moving around within the Christian community, careful never to remain in any one place for too long a time. Eventually they Leocritia and Eulogius were discovered and arrested. 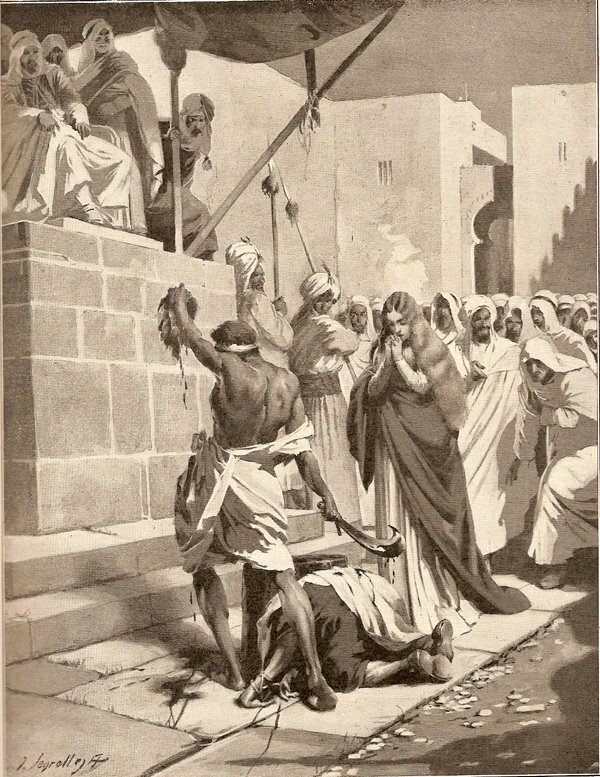 Father Eulogius and Leocritia were flogged and condemned to death; however, they were both given a period of time within which to reconsider and weigh their options – whether they might renounce Christ and embrace Islam. In spite of this Muslim delay tactic implemented with the hope that languishing in the dark dungeon without food or drink might hasten a return to Islam, neither one renounced the Christian faith. at Oviedo Cathedral in Oviedo, Spain. 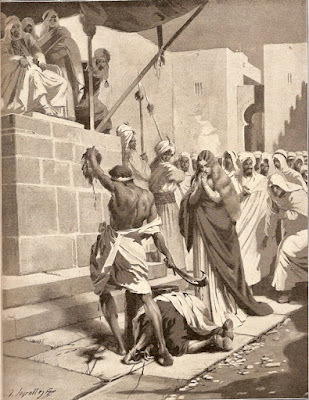 Eulogius, after years of being in and out of prison and encouraging voluntary martyrdom, was executed by beheading for proselytization on March 11, 859, and Leocritia for apostasy four days later on March 15, 859. The body of the young maiden was thrown into the Guadalquivir River, the depository of countless Christian bodies during the ninth century. Her relics were retrieved by the faithful and brought to Oviedo around 884, where they took their place beside those of Saint Eulogius. From March 11th onward, it seemed that the acts of the martyrs had been prematurely silenced. However, Pablo Alvaro, a layman and close friend of Saint Eulogius, took up where the beloved priest had stopped. It is due to his efforts that the story of Saint Leocritia has been preserved and the fabulous Life of Saint Eulogius was written.